In a recent Facebook post I had asked if anyone would like to submit a poem and I received FIVE new works! Last week I published a poem by Keith Jason Carlock: The Autumn Victorian, a lovely poem about Love and Death. 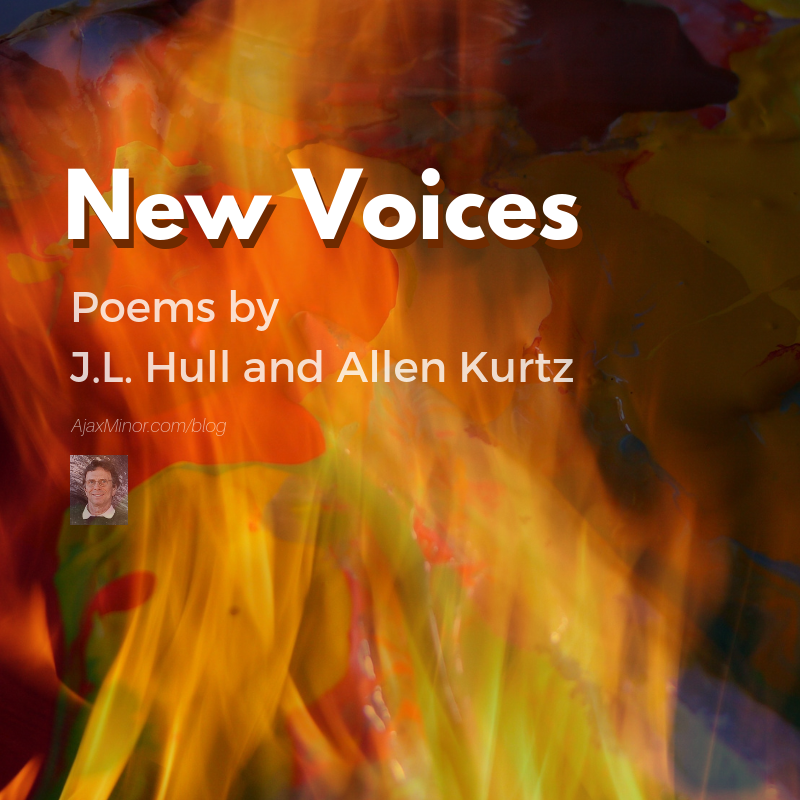 This week I am publishing, with permission, two more: And Every Hue by J.L. Hull and another, Untitled, by Allen Kurtz. I hope you enjoy them, and next week I will publish two more. They are recorded here without comment but I’ll be asking for impressions on my Ajax Minor Facebook page this coming week. Great to find people expressing themselves in verse! AND EVERY OTHER HUE. . .